The delight stage of a customer’s journey comes last, but you should never neglect it. Positive customer experiences have a multitude of benefits, including customer loyalty, good word-of-mouth, cross-selling, and upselling. 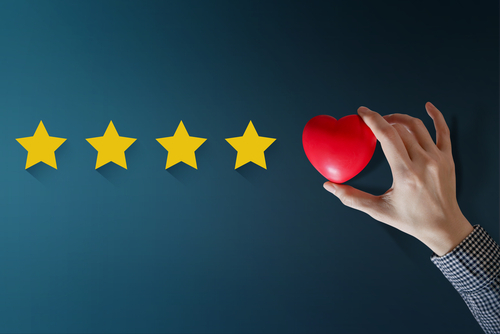 So, what makes a customer experience great? Can you think of the last time you were blown away by a brand? There are many factors, but the most important is having a dedicated team or customer service program. If you’re looking for inspiration, here are some of our favorite brands that excel at customer service. Zappos, the popular online shoe retailer, has been wowing consumers since they first entered the e-commerce landscape. Their Customer Loyalty Team engages with customers via phone, online chat, and email. This dedicated team is available to reach 24/7. On top of that, they make the contact information easy to find. In fact, the live chat pops up before a customer may realize it’s there. They train their customer service managers at their “School of Wow” so they can approach even the most challenging customer situation with a positive, friendly attitude. They offer a 365-day return policy with free shipping and returns – because they understand the nuances of online shopping and people’s busy lives. Customer service representatives all have the authority to accept special-case returns, pay for damages, offer full refunds in case of loss of products, or whatever solution they deem appropriate. Similar to Zappos, Ritz-Carlton Hotel Company puts its customers first by empowering every employee with the ability to create memorable experiences. How? Every employee within the organization is independently authorized to spend up to $2,000 a day to improve guest experience without seeking supervisor permission. The company never stops perfecting its customer service experiences, either. They frequently train their entire staff on how to continue creating pristine experiences. Wistia, a video hosting, and analytics platform use video to power their exceptional customer service. Wistia Customer Champions, lead by the Director of Customer Happiness, create personalized how-to-videos to help specific customers troubleshoot their issues. They also create thank you notes in the form of video to give to individual customers. They also examine their frequently asked questions and topics to develop a set of standard videos to answer questions and make the library readily available to all customers. Since its founding in 1976, Apple has done everything it can to create a community to help users get the most out of their Apple products. Each product has a 90-day support period where you can return the product for free if it doesn’t meet your expectations. They also provide non-stop support online through email and live chat. They have various Twitter handles like iTunes or Apple Store, but the associates who work Apple’s social media direct users to the proper account for help. They have a 24/7 phone support line. However, for those who prefer in-person assistance, every Apple Store comes with a “Genius Bar” manned by Apple experts who will set up and assist in any way possible. Buffer, a social media management tool for businesses, pull out all the stops to delight their customers. They broke their support team up into three units: Happiness Heroes, Weekend Warriors, and Community Champions. Heroes and Warriors react to customers’ questions and concerns via social media and email. Champions proactively engage with their customers, asking them how they’re experiences are, if they have any questions, and generally just keeping in touch. Champions also send direct mail to customers to let them know that Buffer is always available to help them make the most of the product. For other employees whose job isn’t explicitly customer service, Buffer sets aside a few hours each month to reply to social media, answer emails, or help out Heroes, Warriors, and Champions in any way. What all these companies have in common is they genuinely care about their customers’ experiences with their products and services. There are many ways to excel at customer service, and they all do in different ways, but approaching it with a happy customer as the end goal is a great start. Consider following their lead or consulting with LyntonWeb to get excellent customer service ideas.